Over the last decade, diverse types of user generated content (UGC) sharing websites have been into existence with a constant rise in number and variety. Wikipedia, an example of UGC, is considered to be the largest and most comprehensive encyclopedia currently available. However, majority of the Wikipedia articles still suffer in quality. One of the many reasons behind this is lack of user participation. 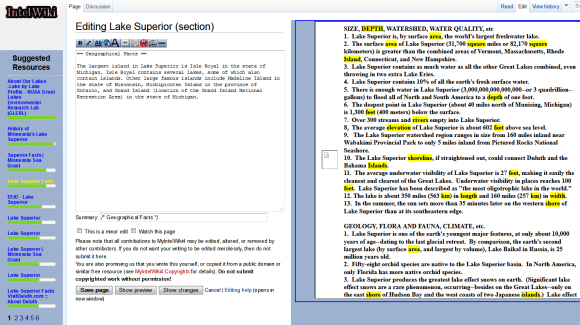 While a number of researchers have focused on improving the structured content of Wikipedia, enhancing the unstructured content is a relatively unexplored area. The IntelWiki system, developed as part of the project is designed to help users in editing an uninformative article by automatically bringing in article-specific resources and key information about the article. It then presents the fetched information to the potential editors in a user-friendly manner.